Give back to your community! The Giving Tree is an easy and simple way to give back to the Sheridan community. 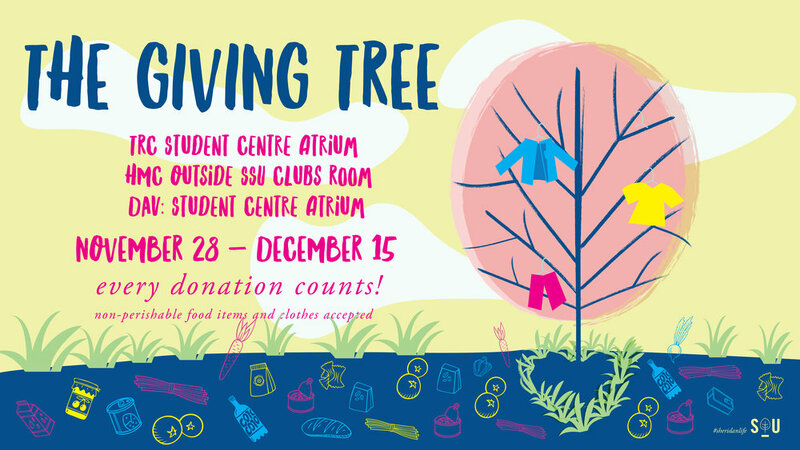 All food donations will be donated to SSU's Food First program and clothing donations to local shelters. If you don't have anything to donate but your time, no problem, grab a candy cane that comes along with a volunteer opportunity and get into the spirit of giving!